Howard Mounsey, with his wife Jane. The Farmers’ Club Pavilion, The Royal Showground – July 1980. It is with great sadness that we have to report the death of Howard Mounsey from cancer at the age of 86. Howard was the founder and first editor of Feed Compounder magazine. His involvement with the agricultural supply industry began in 1972 when he joined CAFMNA (the Compound Animal Feedingstuffs Manufacturers National Association). He went on to become the Deputy Director General of the association, and held that position in 1977 when it merged with BASAM (the British Association of Seed and Agricultural Merchants) to form UKASTA (the United Kingdom Agricultural Supply Trade Association), a forerunner of the AIC. In 1980 Howard left his position as Feed Executive Director at UKASTA to launch HGM Publications which published the first issue of Feed Compounder in January 1981. He went on to produce a number of feed titles including the Digest of Feed Facts & Figures, The Handbook of Medicinal Feed Additives, Feed Facts Quarterly, Feed Industry Review, Home-Mixer, Feeds & Feeding and several others. 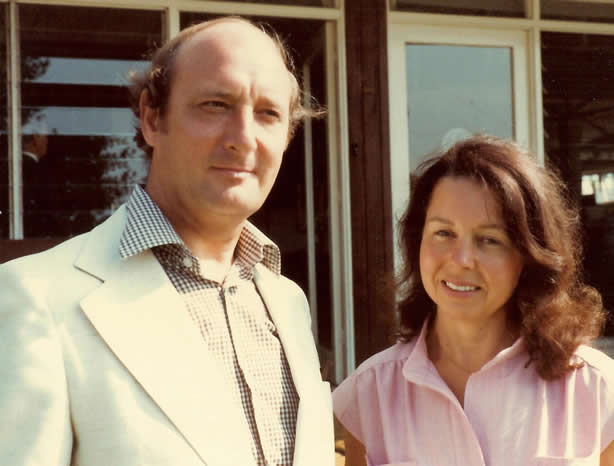 Howard’s wife Jane was a partner in the business and became well-known as a writer of reports on visits to feed compounders and feed industry suppliers. They were joined in the business by their sons Simon, in 1986 and Andrew, in 1987. Howard and Jane retired in 1991 but their sons have continued to publish several of the titles which Howard launched in the 1980s. Born in Sheffield city centre in 1931, his family moved to a North Derbyshire village during the Second World War to escape the dangers of German bombing raids (and a good thing too, as the house in which they had been living would later be completely destroyed by a direct hit). After the War, Howard undertook National Service with the Royal Navy, a glorious time of his life as he was appointed Education Officer on board a frigate stationed in the Mediterranean. He then became the first in his family to go on to Higher Education as one of the earliest students of the recently established University College of North Staffordshire at Keele; after graduating, his first job was with Kemps, a publisher of business directories. Subsequently, his career was largely in trade associations for a variety of industries, which at times included responsibility for producing association magazines. It was a combination of this background in magazine production and his appointment to CAFMNA which put him in a position to recognise the gap in the market for a dedicated feed trade journal, and to have the skills necessary to fill it. In his day, he was a keen sportsman, playing cricket for his village, rugby for his school and football for his University before taking up tennis and later becoming a regular golfer. He was also a very dedicated (and at times highly critical) follower and supporter of Sheffield United FC, having attended his first match at the age of 3. Together with Jane, he shared a love of walking, listening to music, travel (particularly to France and Madeira) and theatre (especially opera and ballet but also musicals and plays). He was an avid reader and had a lifelong love of Shakespeare, dating back to an involvement in local amateur dramatics in his boyhood village, and could quote long passages from Henry V and Hamlet amongst others even into his 80s. Howard is survived by his wife Jane, their three children Simon, Andrew and Helen, as well as seven grandchildren and one great-grandchild. The family have been touched by the many kind words which have been written about Howard by people in the industry. His funeral will be held at Chesterfield Crematorium on Thursday 21 December at 12pm with a gathering afterwards at Chesterfield FC’s Proact Stadium. Anyone attending the funeral who would like to make a floral tribute, please bring just a single flower, either red or white, to be placed on the casket. Charitable donations in Howard’s memory can be made to Ashgate Hospice (www.ashgatehospicecare.org.uk).